Buzz was a travelling art project that celebrated that most quintessential of Canadian critters: the mosquito. 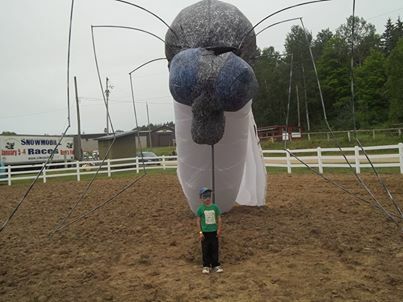 Throughout June 2013, “Buzz”, the giant 20ft inflatable mosquito, made surprise appearances at a number outdoor spaces throughout the Muskoka Parry Sound region leading up to its final stop at Nuit Blanche North in Huntsville on July 13, 2013. Thousands spotted where Buzz landed, and while they were there got their hands dirty: some of the stops featured artists leading activities in drumming and sculpting. 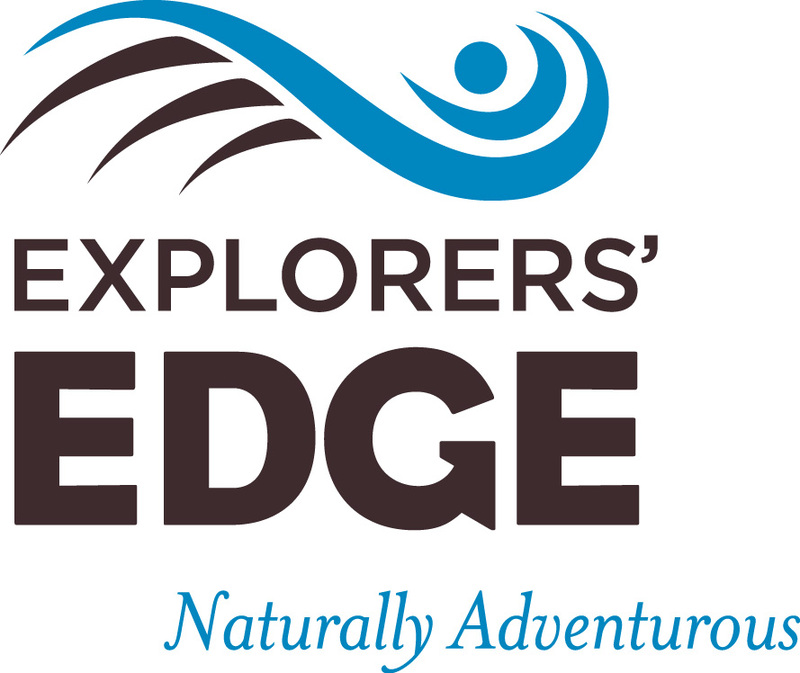 A free, fun and family friendly work of art that showcases the beautiful land we live in and celebrates our connections to the wilds that surround us. 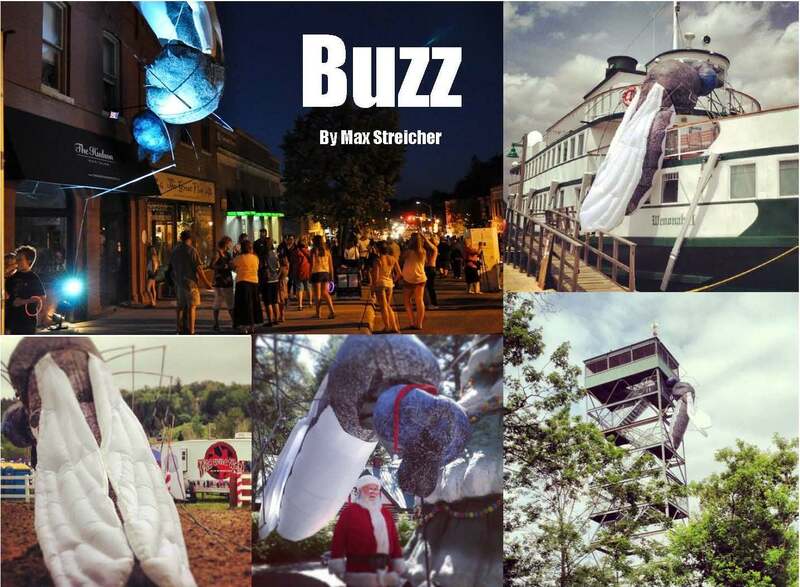 Click Here to Check Out a Video of Buzz’ stop on the lookout tower in Parry Sound. Congratulations to Peter Roberts who is the winner of the “Follow the Buzz” contest. Peter’s photo was drawn at random from all the submissions posted to our Facebook Page. He has won himself a sweet prize package from Algonquin Outfitters.The Prize includes a day long canoe trip for two to Ragged Falls ( includes canoe, two paddles, two PFD’s map and safety kit) and of course a bug jacket and bug spray to protect against relatives of Buzz. It’s a prize package valued at $125. Minett, Cleveland’s House, Play World, Juddhaven Rd.